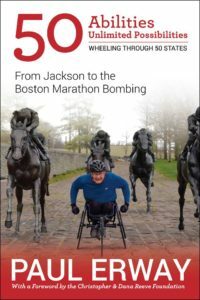 Imagine three wheelchair racers setting and completing a truly audacious goal: Finishing 50 marathons in 50 states in 50 weeks. Travel with Paul Erway and his fellow racers to the first 14 marathons in a journey that’s as life-changing as it is inspiring. While Erway’s story is unique and born from tragedy — suddenly paraplegic at 21 after a car accident — his insights and attitude are instructive to us all, regardless of our abilities or disabilities. I am so appreciative of Cathy Fyock’s help; from finding the best way to set up a book to finding the right publisher and then to promoting the book. I would still be struggling if it had not been for her guidance and knowledge. To purchase 50 Abilities follow this link.